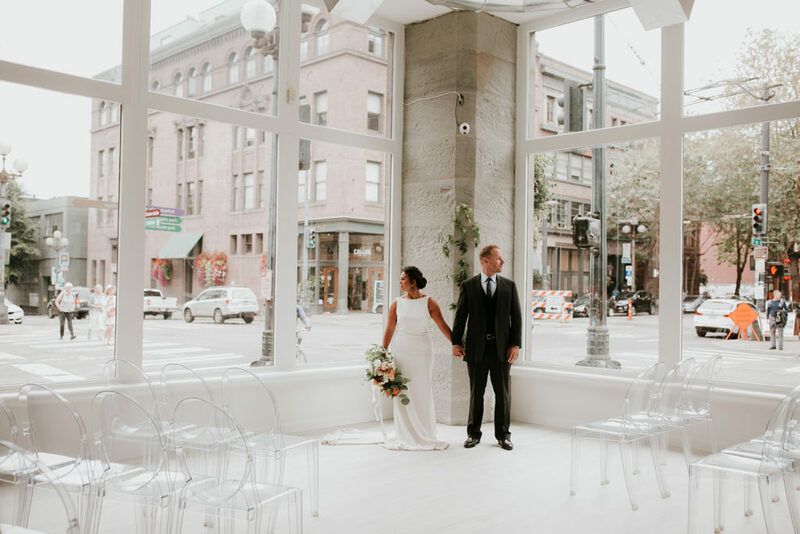 At the heart of Seattle’s historic Pioneer Square district, The 101 incorporates the famous brick walls of the neighborhood while adding a classic modern touch. It is a versatile space that can accommodate a corporate cocktail party or an intimate reception and is within walking distance to an abundance of hotels and parking garages. 380 standing cocktail; 225 seated. "Many of our guests commented that our wedding food was the best they had ever had! Your staff was super attentive, and it felt like they were everywhere, making everyone feel like they were well looked after."